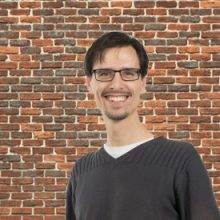 Frederik Vannieuwenhuyse describes himself as a ‘multi-disciplinary generalizing specialist transforming your world of work’. With a mindset to collaborate, deliver, reflect and improve he is on a journey of discovery and learning how to grow effective, resilient and agile organizations. “Together we search how organizations can experience business agility”. Frederik is a Servant Leader, Facilitator, Coach, Conflict navigator, Manager, Mentor, Teacher, Impediment remover, Change agent, Team navigator, Complexity navigator, System thinker and Social thinker. With his personal blog he covers a variety of agile-related subjects, in both English and Dutch.